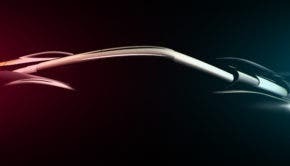 The Byton K-Byte, where you can see Benoit Jacob’s work continuing with stunningly fluid lines and no mechanical or electronic spoilers. The Pebble Beach Concours d’Elegance is behind us, and now that the dust has settled, we can highlight the important notes after our last article. 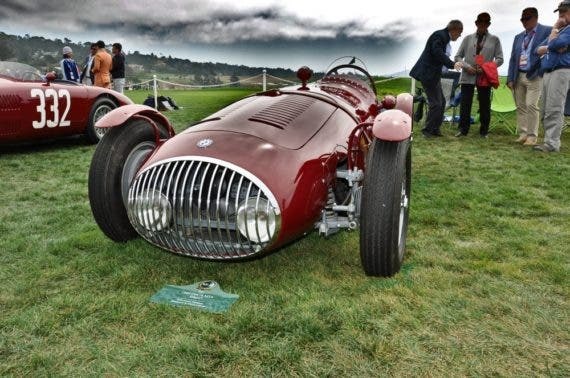 One of the questions that often comes up is why the creme de la creme event for old cars, the internationally famed Pebble Beach Concours d’Elegance, would host futuristic concepts? Traditionally, Pebble Beach has not only shown the best of the best, but also displayed future versions, concepts, and prototypes of various types. Is Pebble Beach, the internationally famed car show, the right place to launch a new mobility company? Remote control fun guiding the K-Byte on stage. It would be impossible to lump all Pebble Beach goers together. Although they vary, though, one thing they have in common is that they come to see the best of the best, the best of what carmakers have made, and in some cases, are still making. The conversations we had at the Byton booth, where the international mobility company officially unveiled its M-Byte and presented its K-Byte concept, were inquisitive, lively, thoughtful, humorous, and overall pleasant. Most people were doing exactly what they came to do, find out about cars, new and old. You would think people who come to see rare Ferraris and other older carmakers would sneer at the thought of an electric car, let alone an autonomous one. But the conversations were different. People wanted to know. Most agreed it had to happen. And many said they wanted it to happen sooner than later. Most were happy and even impressed Byton promises to let its drivers choose the amount of automation. Byton Headquarters in Santa Clara (Silicon Valley), California. Some conversations were simply humorous. This fellow asked how much M-Byte would retail for. When he heard $45,000, he stopped leaned over to his friend, and said that was less than the price he paid for his chauffeur. We joked and said he can now get a new one every year, without severance. Of course, you “have to have” the occasional obtuse remark: “I love driving so much I’ll never drive an autonomous car.” Congratulations and good luck to you, except where are those clear roads you are so enthusiastic about? Please, do share. Byton isn’t the first new company to tap into Pebble Beach. Lucid was here last year. Others will follow their steps. Byton not only chose Pebble Beach as a place to launch a new mobility company, but also to display its cars right there on the Concept Lawn, where people pour in to explore the cars. That’s it for today. Enjoy these few pictures and stay tuned for an interesting multi-unit dwelling electric mobility platform from Envoy next.